Abstract : Introduction- Sub axial cervical spine accounts for about 65% of all cervical spine injuries. Adequate treatment can only be embarked upon after complete understanding of spinal biomechanics and the ability to determine the injury to various anatomical components of the spinal column. The current study discusses the treatment strategies and assesses the outcome of treatment in such injuries. Material & Methods- 36 patients (22 males, 14 females; age range: 18-60 years) with unstable cervical spine injuries (C4 to C7) with neurological deficit graded according to ASIA impairment scale were treated at Assam Medical College & Hospital between June 2010 to September 2014. Patients with bilateral facet dislocation were treated with either posterior or anterior approach after failed preoperative traction. Unilateral facet dislocation was treated with lateral mass fixation or anterior plating. Patients with compressive flexion injury were treated with corpectomy, bone grafting/ cage and anterior plating. Vertical compression fractures were treated with corpectomy, bone grafting and anterior plating. Results & Discussion- The fusion time were 4 to 6 months and there was no residual instability of spine or loosening of the internal fixation at 12 months. Conclusion- Operative treatment of sub axial cervical spine injury decreases the complications related to prolonged immobilization and improves neurological outcomes. Both posterior and anterior surgical approaches are viable alternatives for treating these injuries with different indications and risk profiles. Identifying and understanding the injury, proper selection and planning of cases, preoperative optimisation and thorough knowledge of anatomy is essential to obtain benefits of operative treatment. 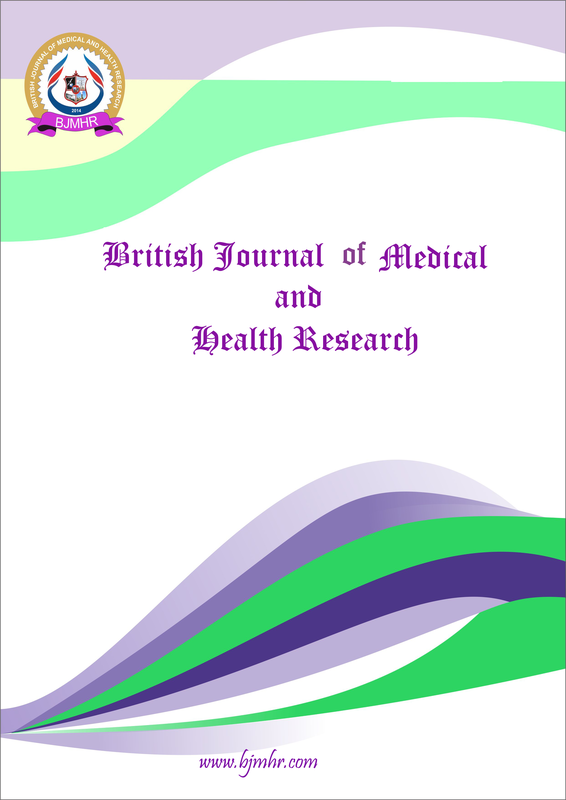 Abstract : The main objective of this study was to evaluate the hypothesized risk factors associated with obesity among Libyan adolescents schooling in Malaysian Libyan schools representing primary, middle and high schools level education. A cross-sectional study was conducted by using a self-administered questionnaire to access the anthropometric parameters, physical activity, dietary intake, food habits, sedentary behavior’s and nutrition knowledge among 180 adolescents in Libyan Schools of Malaysia. Descriptive statistics, chi-square test, independent t-test, and ANOVA were performed on the collected data. The results indicated that the highest percentage of overweight was in the primary school students and the highest percentage of obesity was in the high school adolescents. A significant difference was found in mean physical activity scores between male and female students. The means of time (hrs) spent on dietary habits for male and female students were found to be 3.06±0.49 times/week and 3.09±0.46 times/week respectively. The means of time spent on sedentary behaviors’s for male and female students were found to be 2.69±0.71 hours/week and 2.73±0.71 hours/week respectively. The mean nutrition knowledge score for male and female students were found to be 2.97±0.294 and 2.92±0.27, respectively. There was no significant difference between the mean nutrition knowledge scores of male and female students. About 53.6% of students have moderate or high (45.9%) nutrition knowledge respectively. A high percentage of the students 42.0% could not identify the healthiest way to lose body weight while 17.2% chose all of above are healthy methods of losing body weight. In conclusion, obesity was found to be prevalent in high school adolescents. There was no significant differences in the responses for the risk factors such as physical activity, dietary intake, food habits and sedentary behavior’s between male and female adolescent students in Libyan School here in Malaysia. About 45.9% have high nutrition knowledge. Future intervention may consider incorporating the elements in the scheme to increase its effectiveness in nutrition knowledge and health awareness. Abstract : Evidence suggests that free radicals are the central pathogenic factor in the atherosclerotic process. Biochemical marker of oxidative stress malondialdehyde and antioxidants viz., serum vitamin E, glutathione (GSH) and magnesium were measured in MI patients (n=47) on admission and monitored over 96 h and compared with healthy controls (n=28). MI subjects were grouped according to the treatment – thrombolyzed (T) and non-thrombolyzed (NT). Mean age of MI onset was 40y, majority of the subjects had a lower protein status and higher waist-hip ratio. An atherogenic lipid profile was observed in >50% of the subjects. Serum Malondialdehyde (MDA) were significantly (p<0.05) elevated on day one of admission (T -10.6 + 0.49, NT-11.83 + 0.18 nmol/l), which decreased at 96h in both MI groups, however the levels were higher in the thrombolyzed group. Serum vitamin E, GSH and magnesium levels were also markedly lower (p<0.05) compared to normal subjects. Serum vitamin E levels increased after 24 h, as result of vitamin supplementation. Antioxidant rich foods were used less frequently. The observations suggest that increased generation of free radicals in the MI event maybe mediated through the oxidation of LDL as majority had markedly elevated LDL levels (> 140mg%). The findings indicate a persistent oxidative stress that might be associated with intravascular inflammation. Keyword : Oxidative stress, Serum vitamin E, myocardial infarction, thrombolysis, serum magnesium.